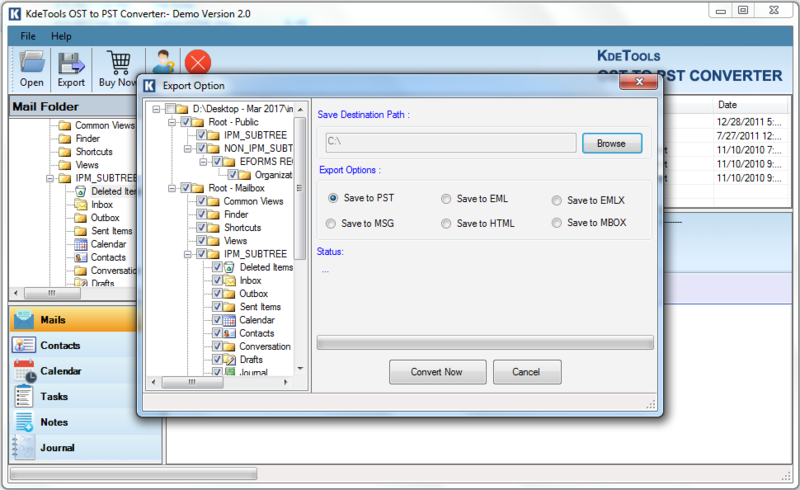 Convert OST to Outlook PST, EML, MBOX, EMLX, HTML or MSG file format. * Free Download enables to full preview content of OST file & export upto 30 emails each folders. Microsoft OST to PST converter essentially convert files from Microsoft Exchange Server Offline OST data to Outlook PST file format with complete OST mail components data. Our software supports to recovery of inaccessible mail OST file and export OST file into healthy file format to access it in all email platforms as it supports multiple conversions. After successfully scanning the OST, specify the needed format to convert .ost mails into PST, MBOX, EMLx, HTML, RTF, EML and MSG file format for further use in Outlook, Thunderbirds, Outlook Express and Windows Mail. Software restore the permanently deleted/lost mail items of OST file by Soft or Hard Delete action. By using tool, you can easily recover all deleted/lost items at their previous locations. After recovery of OST data, user can preview selected mails items from recovered OST data before export OST file to desired file format like PST, MBOX, EMLx, HTML, RTF, EML and MSG Conversion process. Simply export OST mail components including contacts, email, calendars, folders, to-do list, journals, tasks, notes, etc into necessary file format with an ease. This tool ensures to maintain OST email Meta-data including subject, cc, to, send/ receive, draft, and notes with original file format after recovery of Exchange OST files. 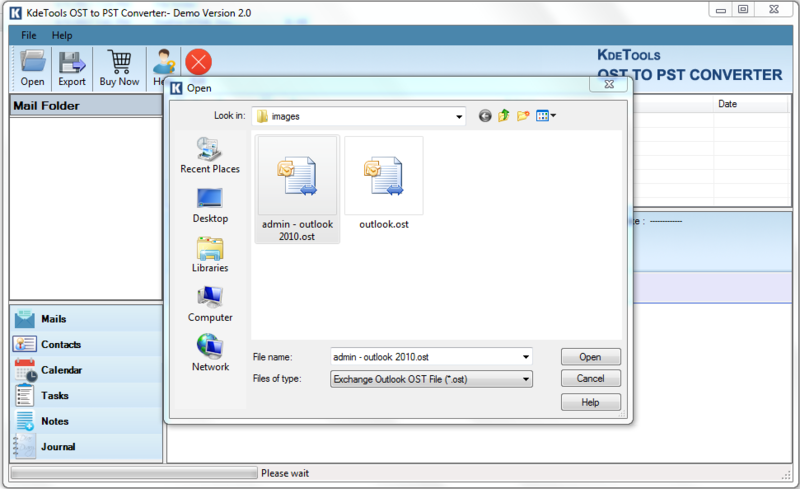 Repair severely corrupt or damaged files from Exchange/Outlook OST data file by using OST to PST Converter software. It also fixed your any error of OST file due to any reason. "I'm completely impressed with this OST to PST conversion tool which not only allowed me to recover all my important emails from my inaccessible OST but also restored deleted emails as well. Highly recommended. Trial version of Microsoft OST to PST Converter is available for free download. Software enables you to preview all OST contents and export 30 items from Folder only to desired file format like PST, MBOX, EML, EMLX, MSG or HTML. Copyright © 2015 – 2019 Microsoft OST To PST Converter | All Rights Reserved.